Tennis Shoes Among the Quitoites: two months out! Shelly just got her replacement companion, a gringa! And also a nurse. We are getting excited for her to come back to us but know she'll be sadddd when it happens as well. Anyway, happy reading! There are a few pictures as well. 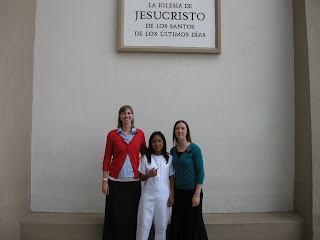 Well, I got my new companion Hermana Rodgers! It has been really fun being with her. We understand each other in so many ways! We have the same calling. We have worked hard and really pushed ourselves to find new investigators, as well as trying to learn the ropes of the nursing stuff. As we´ve conversed I have really realized how much I have learned. 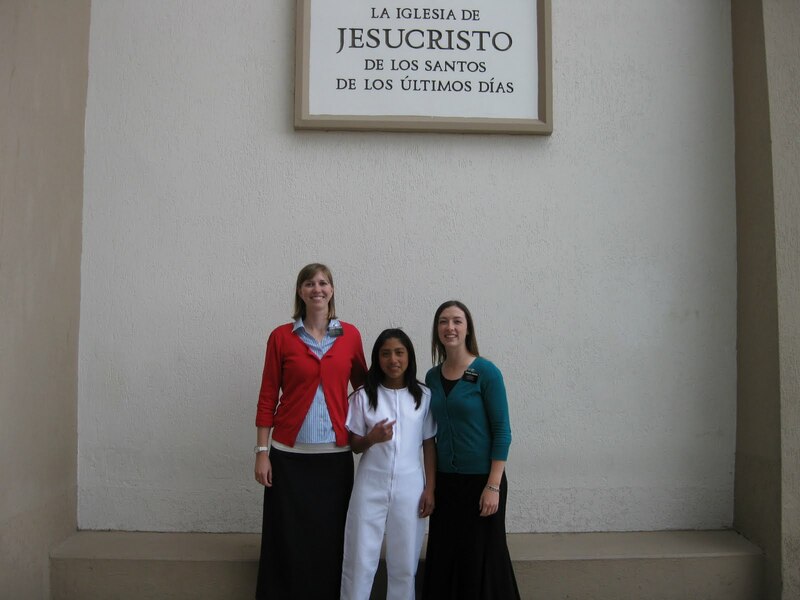 Thinking about being in her position, I just remember having no idea what to say to the missionaries when they called. Now, I kinda know what to do! It´s cool. 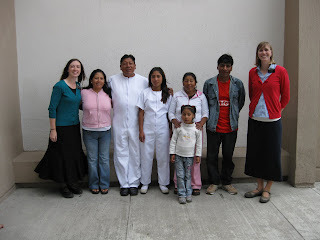 I´ve also been telling lots of stories, and it has made me realize what a fun experience it has been to be the nurse. I really do have some pretty good stories. I´m trying to convey to her all I can, although I know that she will have to gain her own ¨tribal knowledge¨ just getting out there and doing it. We will be traveling the mission during November, so she can see all the different climates, meet all the missionaries, and see the clinics as well. It is so crazy to be with her. But it´s really fun. I haven´t given her the cell phone yet, but every call I get I go over afterward with her. She will be getting the phone in the next couple weeks, and I will just sit back and relax. jk She is very quiet, but super super smart. And such a sweet person. She did her capstone at Primary Children´s, just before she came on a mission, so we have that somewhat similar background. Being with a new missionary is really great. We have a goal to make a baptismal invitation in every lesson. Including our first with people. It has really helped us exercise our faith. Sometimes during the lesson in my mind I resist it, but I am so certain that we must invite wherever we are. Otherwise I am wasting my time here, just traveling around Ecuador, but I am not a missionary. I love living my mission with faith. Have you thought about what it means to live with faith? I think everyone should live with more faith. No regrets! Follow every prompting you get, even if it seems weird or uncomfortable. If we are comfortable in our lives, we are not improving! We have so much potential to be instruments in God´s hands, but we let those opportunities slip by because of fear, laziness, or conformism. We should be the best we can be! And do what we know we should do. 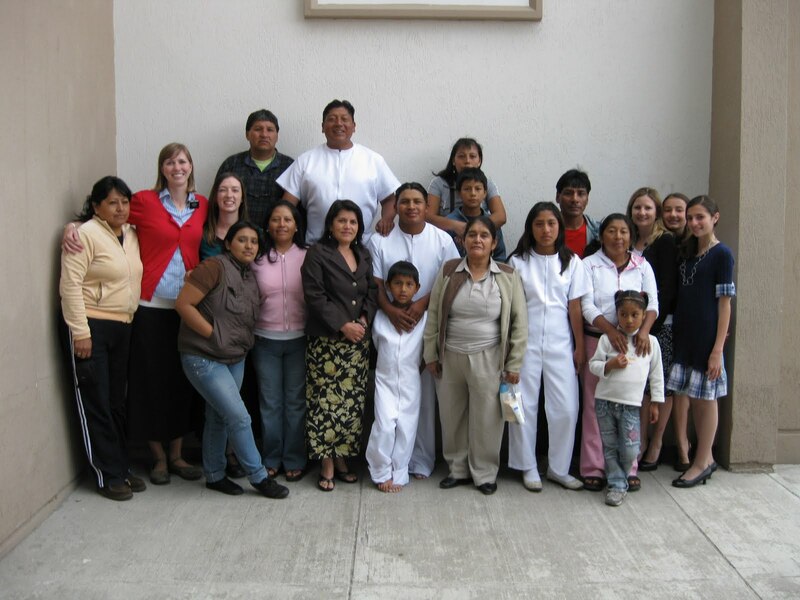 In every calling we have, including home visiting teachers, moms, grandmas, dads, brothers, and friends! We should live with faith. It is a long process, but we can do it!